A 8-9 hour tour and visit with one of our favorite drivers Paolo (see his biography below) to the Carrara white-marble quarries, Pientrasanta and an artist's studio. Paolo, will pick you up at your villa (see his biography below). For larger groups, a second van and driver will come. 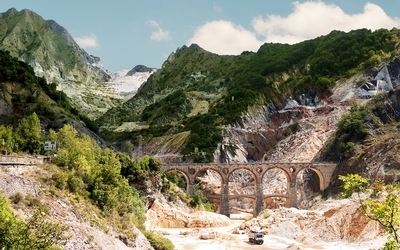 You'll drive to the Carrara quarries, where you'll visit an impressive quarry where the entire mountain, made from white marble, has been quarried since Roman times and now looks like it is covered in snow. Carrara marble is unique in the world, and has been used in architecture and sculpture since Roman antiquity, when Roman slaves worked the quarries. Later, in the Renaissance, Michelangelo would hide in these mountains for months at a time, researching the perfect blocks for his figures. He maintained that he could see his figures in the marble. In recent years Botero, Henry Moore, and other great artists have all come here for their stone and inspiration. After visiting the quarries, visit the town of Pietrasanta for a traditional Tuscan lunch. Pietrasanta, at the foot of the white mountains, means "Holy Stone", and the town is full of artists. After lunch you will visit a marble studio/workshop for a tour and to watch a sculptor’s expert hands work the stone. Paolo is very courteous and speaks English. 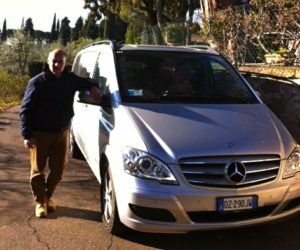 He has worked in tourism in Italy for 23 years, driving his own tour groups for the past 10 years. 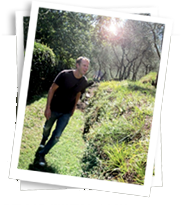 He and Alessandra (she gives our guests walking tours in Florence) are friends of ours. 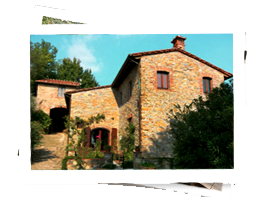 They live in a beautiful country house that was once property of Michelangelo, and they are both enthusiastic about sharing their knowledge and contracts with the culture and people of Tuscany. Paolo loves to help his clients experience the authentic places that would be impossible to discover without his many many personal contacts. He is especially proud of his spotless luxury Mercedez touring van, with leather seats -- this is very comfortable and not the typical touring van. The van seats 7 guests. For larger groups, he'll arrange a second van. Price: 150euros/person (for 4 or more guests). Included: Deluxe vehicle, private driver. Not included: Entrance fees and lunch.